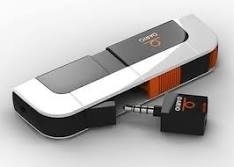 There is some amazing technology available now for people living with Diabetes which is great news for all of us as this technology has certainly helped me maintain my BG levels using devices such as Insulin Pumps, Smart BG meters to even apps such as Carbs & Cals. 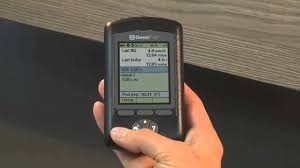 I think we are all now waiting for the first flood of smart Insulin Pumps to arrive which should be smaller than before with even more technology to assist us, we have still not seen much from Cellnovo but their Insulin Pump certainly looked incredible, I am sure the big players will be releasing some amazing technology this year or if not very soon. I am watching closely to see what new meters get release this year if any and would really welcome your feedback just in case I miss something. At the moment I am using a Accu-Check Mobile meter which I do find very compact as everything is contained in the one device, all wrapped up in a very snug case. 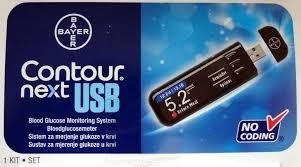 I do also like the Bayer Contour Next USB meter which is tiny however as with most meter companies the case is huge – can’t the meter cases actually be made smaller so they are more discreet to fit in your pocket ? 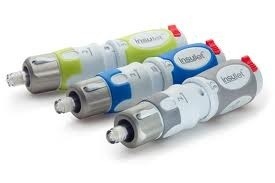 Has anyone used/using or seen the incredible looking Insujet from Sprit Healthcare which is a device that can be used to administer insulin without a needle. The insulin is fired at high pressure through a small aperture, which creates a high speed jet that can penetrate the skin and underlying tissue. The pressure is generated by a powerful spring which is optimized for subcutaneous insulin delivery. Oh my god was what I was thinking as I still remember when I was very young having a huge stainless steel syringe with needles that needed to be reused and sterilised, so this Insujet device really does sound very interesting and I can’t wait to give it a try. Finally, where are we in regards to new Insulin Pumps and what have you heard as surely there must be some new smart Insulin Pumps on the horizon, I myself haven’t heard much about the new smaller Omnipod which again looks great for a patch pump (I have never tried a patch pump) and I have email the company a few times to get some info on my Blog and web site www.mypump.co.uk however not heard anything back.